Amfibius Recordings return from a brief hiatus to deliver ‘Spywerk – The Sulli & 5657 Remixes’ comprising three remixes, two from Sulli & 5657 and one from Reno Knightz. 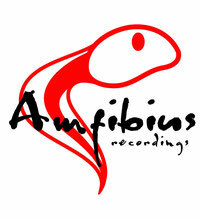 Born out of Reno, Nevada USA, Amfibius Recordings are 25 releases strong since launching in 2007. Having seen in works from the likes of Jay Tripwire and Jacob London, the focus for the label is centred around quality, upfront house music. 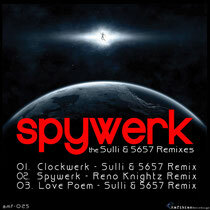 For this release Sulli & 5657 step in to rework cuts from rock / electronica crossover band Spywerk, taking their gritty guitar and synth laden premise and presenting their own message through the mixes. The release opens with ‘Clockwerk (Sulli & 5657 Remix)’, a rolling vocal workout built around a flourishing filtered groove. Heavily swung drum programming and short sharp vocal cuts fuel the motion before Spywerk’s catchy vocal lines are worked in, heavily processed and looped to add an intense amount of depth and texture to the cut. ‘Reno Knightz’ step-in to remix, ‘Spywerk’, again encompassing a raw electronic edge, modulating synth lines run alongside delayed vocal chops and prominent lyrics. 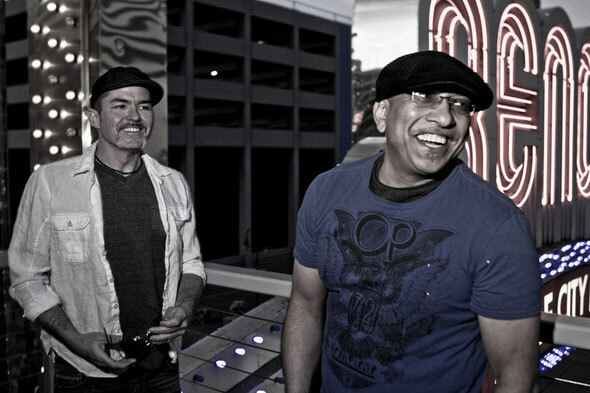 The duo utilize the chuggy guitar parts and employ bright synth chords to create a unique twist on the composition. The ‘Love Poem (Sulli & 5657 Remix)’ closes the release, capturing the essence of ‘90s electronica found in the early works of Underworld, uplifting but with dark tendencies. Structurally the track takes on a progressive movement, additional elements creep in fuelling the dynamic and building to a breaking point where sporadic modulation and reverb bursts break-down the track before reverting back to the trippy powerful groove.